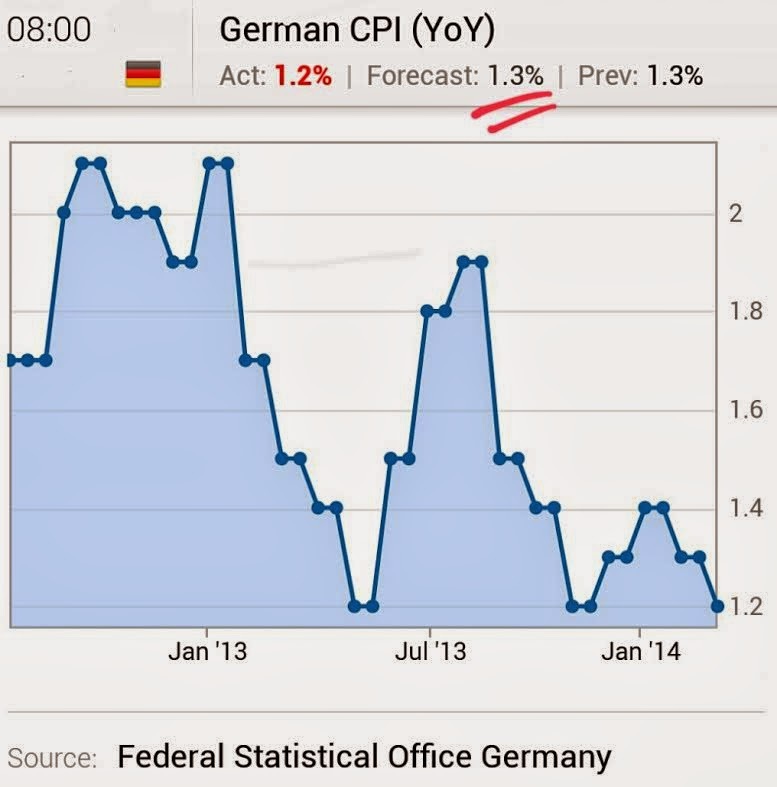 The ECB received another warning today: the German CPI rate came in below expectations. The disinflationary pressures are no longer just about the Eurozone periphery. Moreover, the euro area private loan balances continue to contract and the broad money supply growth remains weak. Reuters: - "Weak money supply growth is not only condemning the euro zone to stagnant recovery, but it is raising the odds that the single-currency area could easily slip back into recession again," said David Brown at New View Economics. "The ECB still needs to think outside the box to get the euro zone motoring into the fast-lane," he added. "A change of heart on quantitative easing still beckons ahead." The ECB, worried that inflation risks getting stuck in a "danger zone" below 1 percent, is considering whether to take fresh policy action next Thursday to support the economy. Bunds rallied on the news, with the market still anticipating an easing action from the ECB. 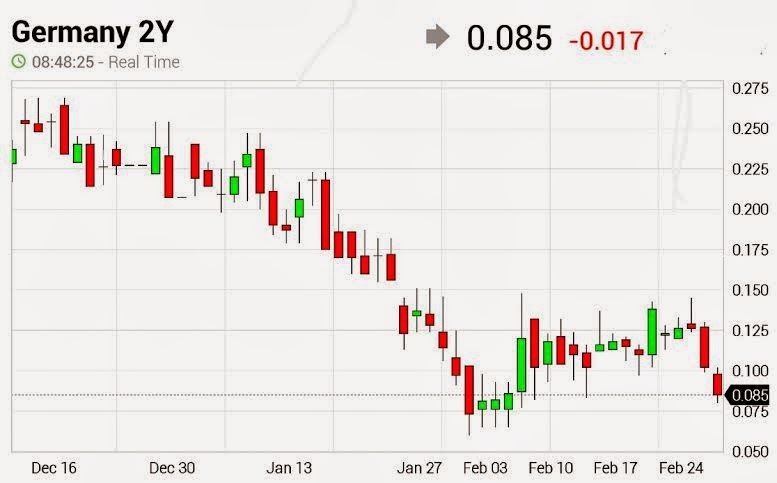 The 2-year German note yield dropped down below 10bp again. While the ECB has been counting on improving business confidence in the Eurozone to stabilize the recovery, surveys may end up being misleading. With a great deal of the euro area expansion relying on exports and China's (and other EM nations) growth slowing, sentiment can turn very quickly.